One of the large cast-iron book alcoves that lined the Main Hall. 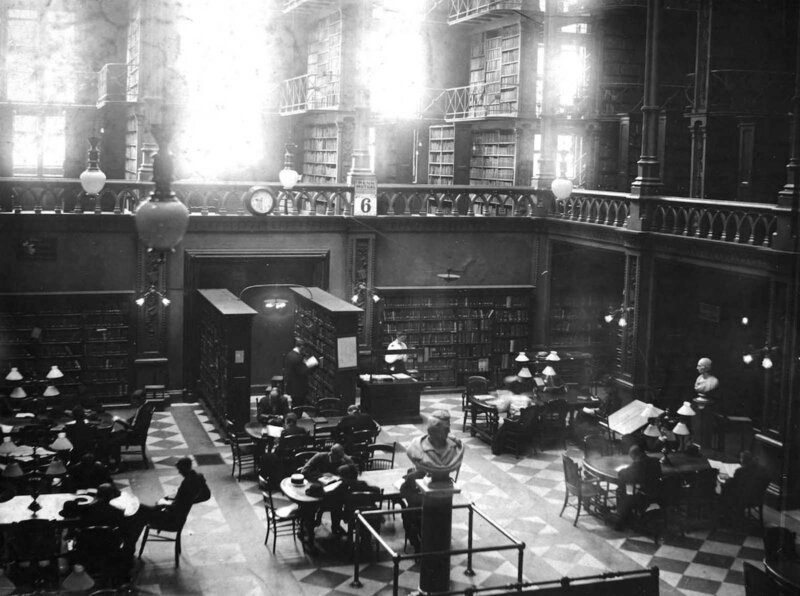 Built in 1874 on the site reserved for an opera house, the Old Cincinnati Library was a thing of wonder. With five levels of cast iron shelving, a fabulous foyer, checker board marble floors and an atrium lit by a skylight ceiling, the place was breathtaking. 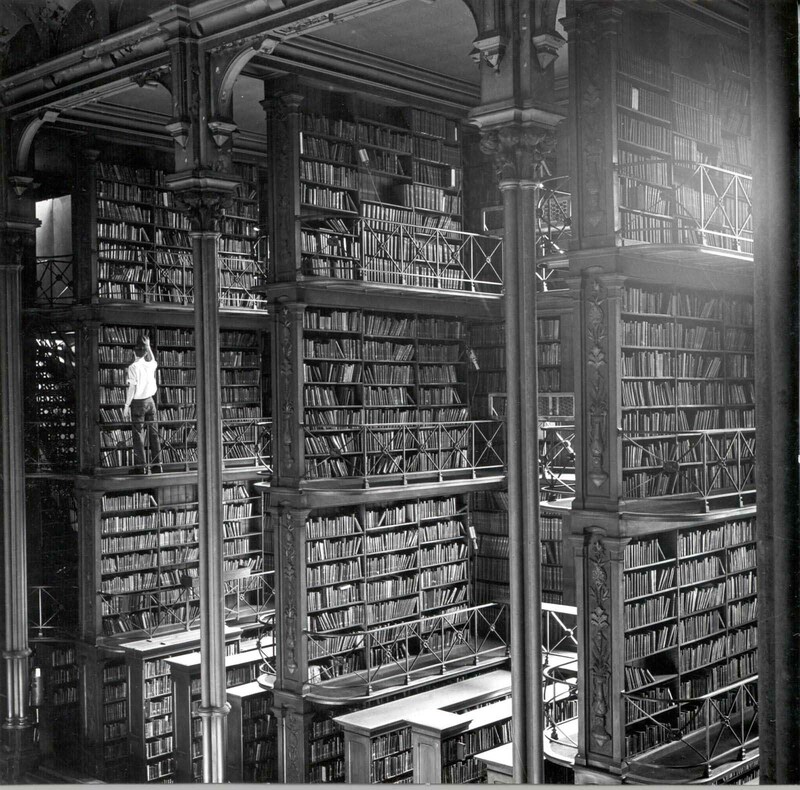 Unfortunately that magnificent maze of books is now lost forever. Patrons entered on Vine Street beneath busts of William Shakespeare, John Milton and Benjamin Franklin. A vestibule led to the cathedral-like main hall, four stories tall, topped with a massive skylight roof. The floor was checkerboard marble tile. Five levels of bookshelves jammed the walls. 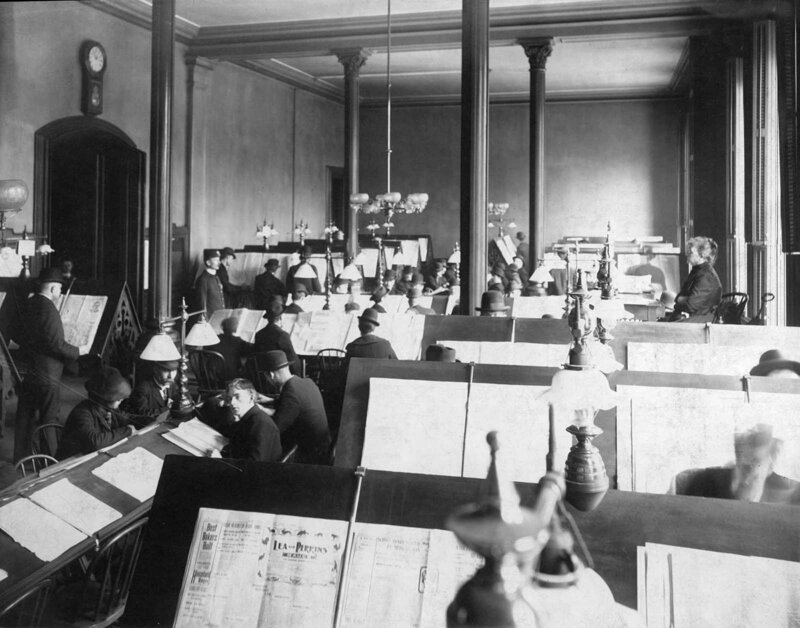 Shafts of sunlight cut through the windows to provide ample illumination. 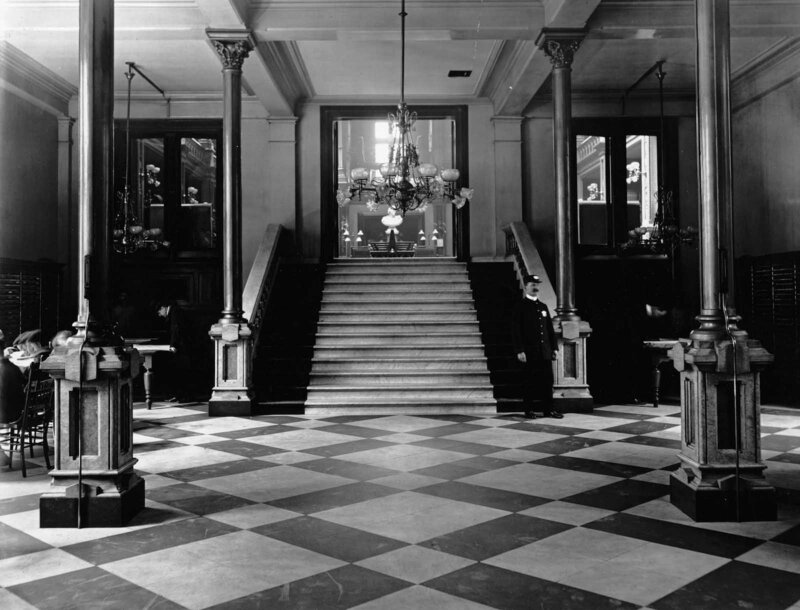 “The main hall is a splendid work”, The Enquirer reported at the opening. “The hollow square within the columns is lighted by an arched clear roof of prismatic glass set in iron, the light of which is broken and softened by a paneled ceiling of richly-colored glass. One is impressed not only with the magnitude and beauty of the interior, but with its adaptation to the purpose it is to serve”. The cost of the lot and building was $383,594.53, about $7.7 million today. 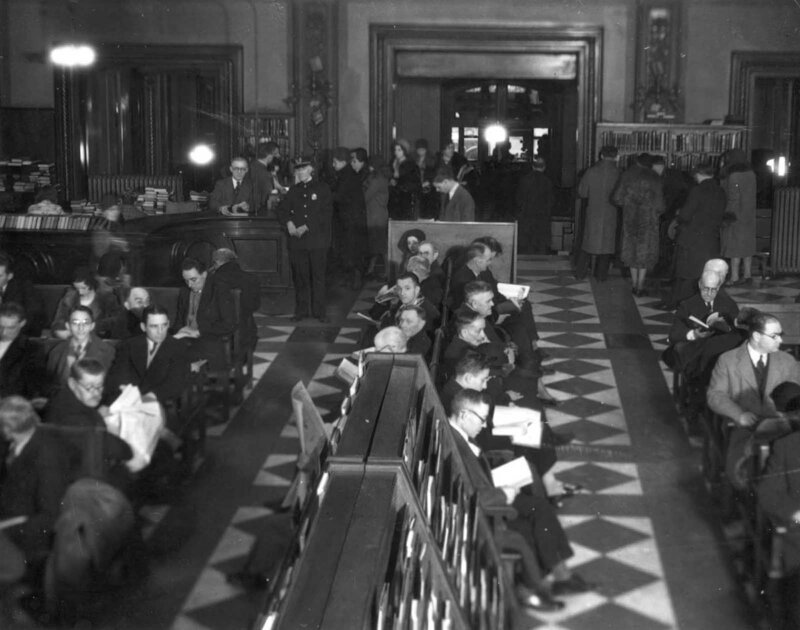 The Public Library contained 60,000 volumes, with an estimated capacity of 300,000. So why this building demolished? 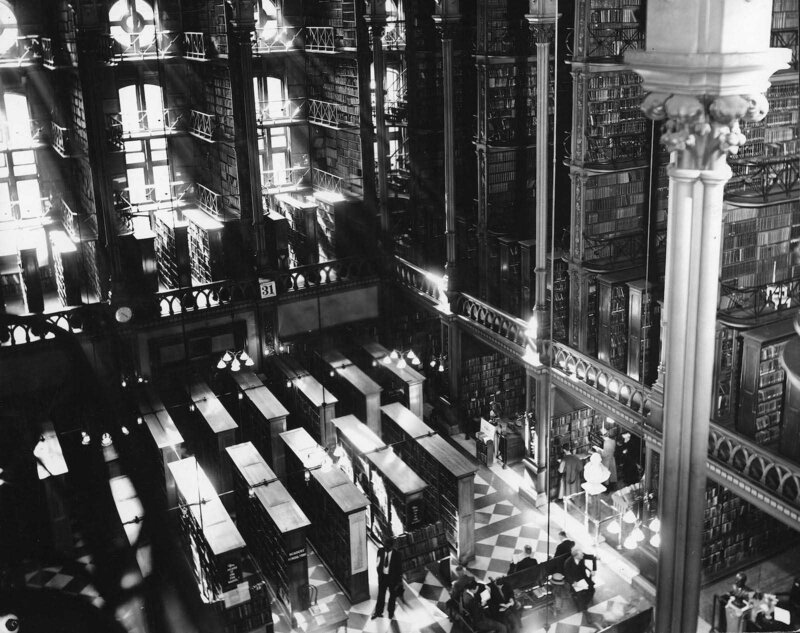 Talks for a new library building had already begun 30 years earlier when the book collection had started to outgrow the building. Books were stacked beyond reach. Ventilation was poor, the air stuffy. The paint was peeling. 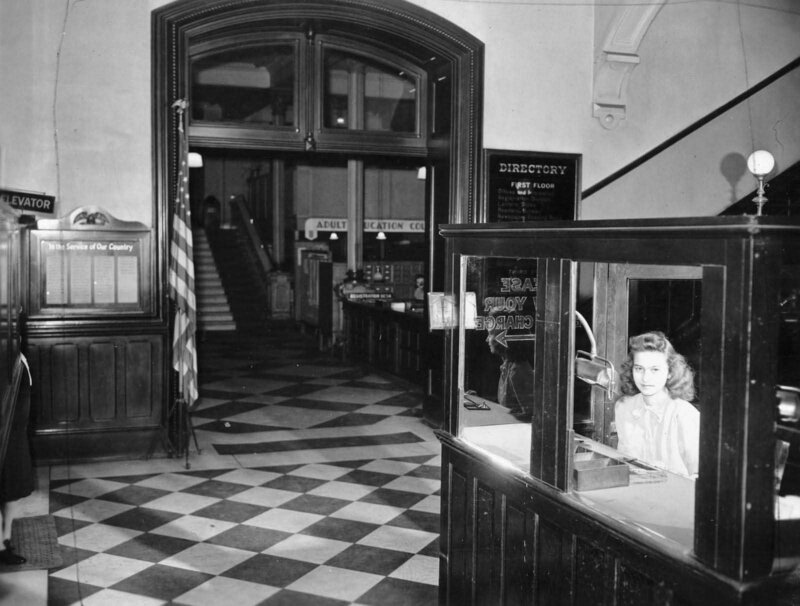 In January of 1955, a new contemporary library opened at 800 Vine Street. 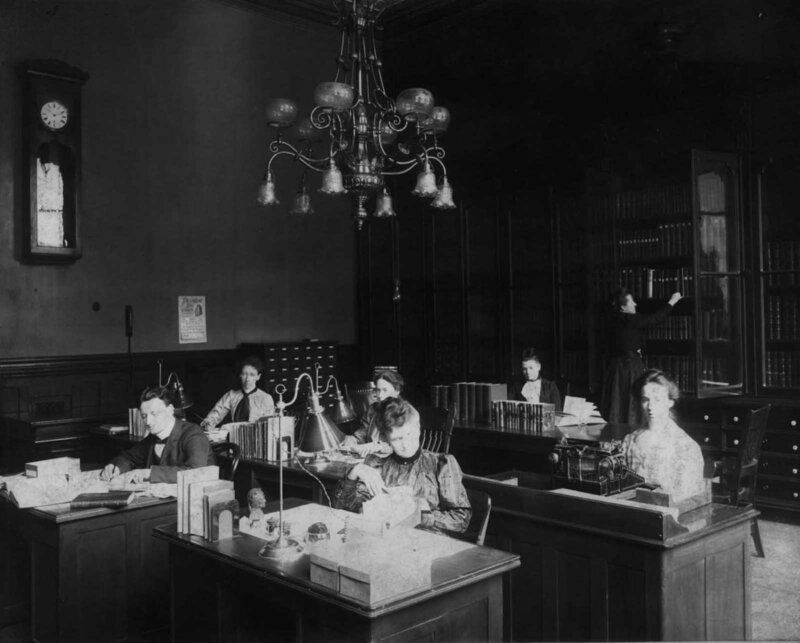 The old building was sold to Leyman Corp for about $100,000 today, and by June that year, the magnificent library was razed. The site is now a parking garage. 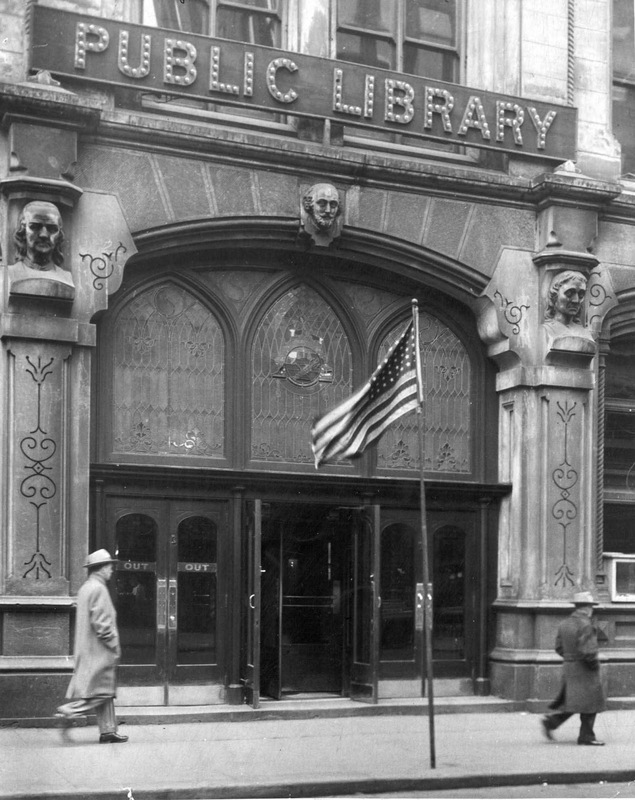 The three heads that once guarded the main entrance of the library were the only original features of the building that were saved and placed in the new library’s garden. 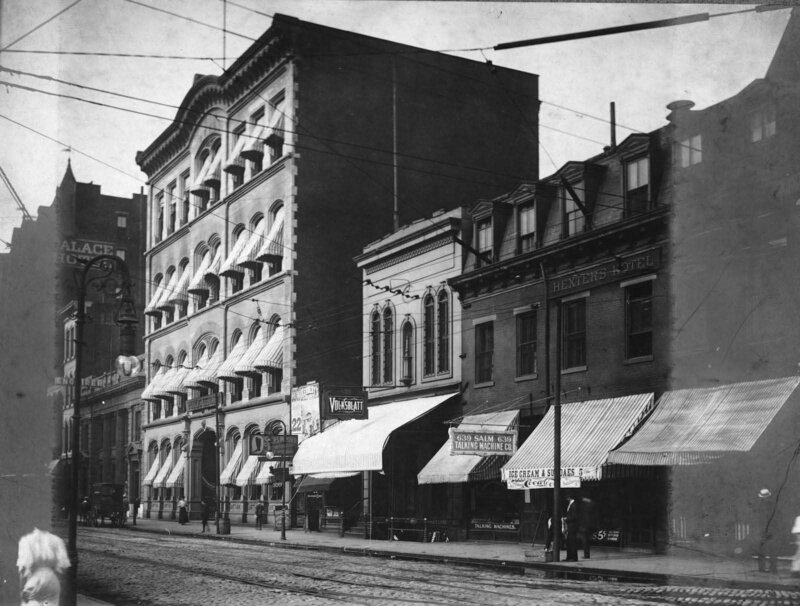 The Old Main in an early picture. A glimpse of the Main Hall can be seen through vestibule. 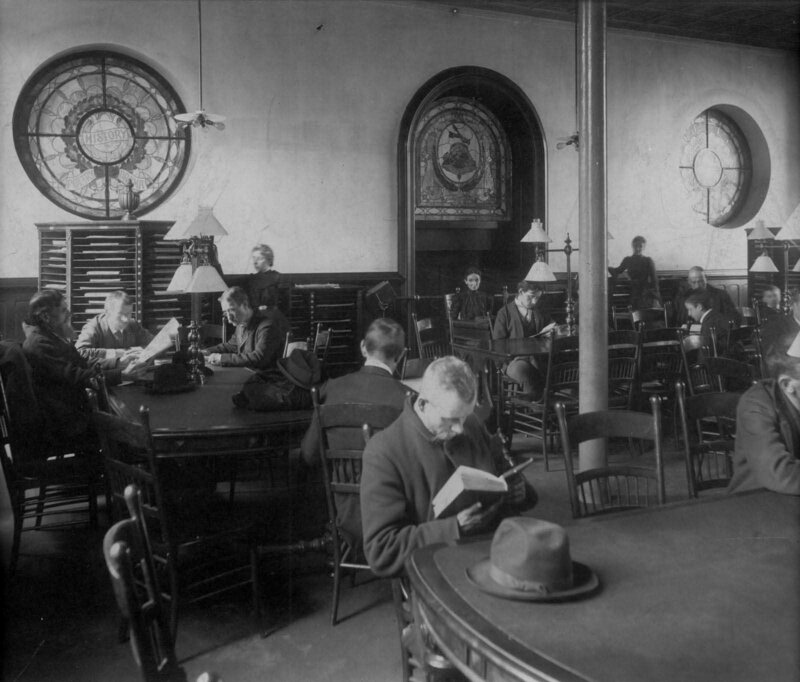 The Newspaper Room (photo circa 1899). 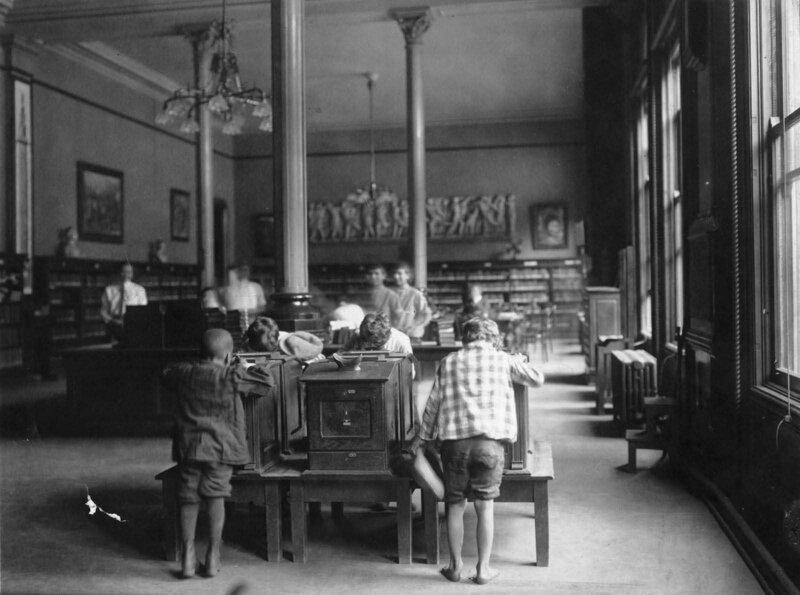 Children inside the Old Main. Looking down at the reading area in the Main Hall. 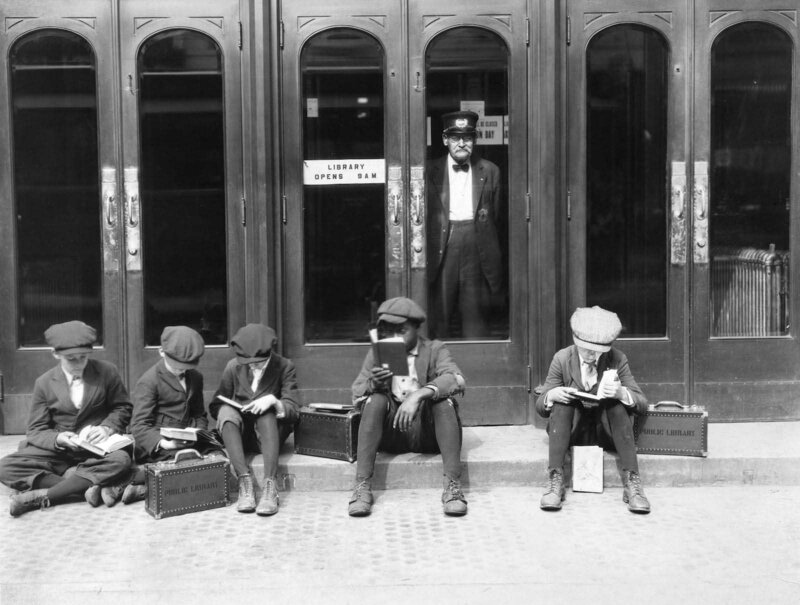 Over the years the library wasn’t able to accommodate all the readers. 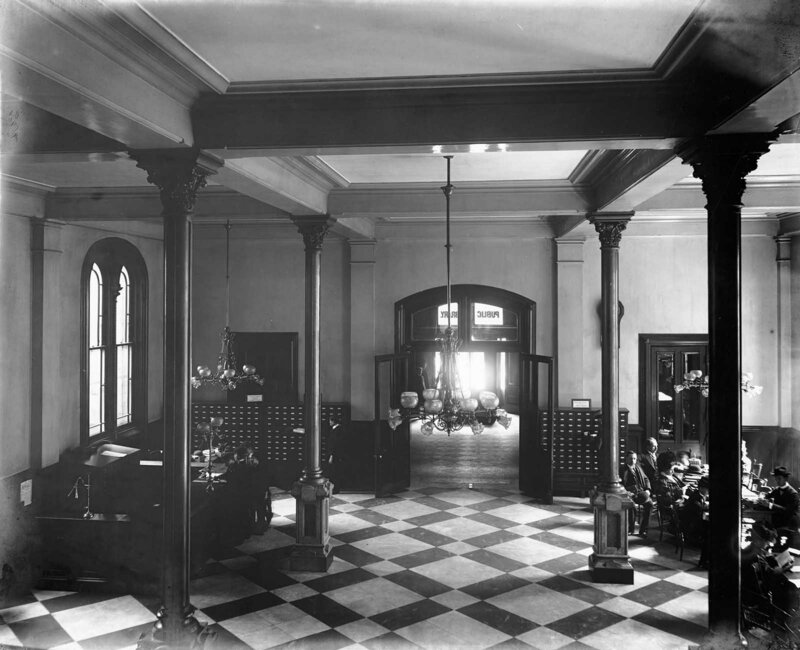 This photo of the Main Hall was taken about a year before the building was closed. 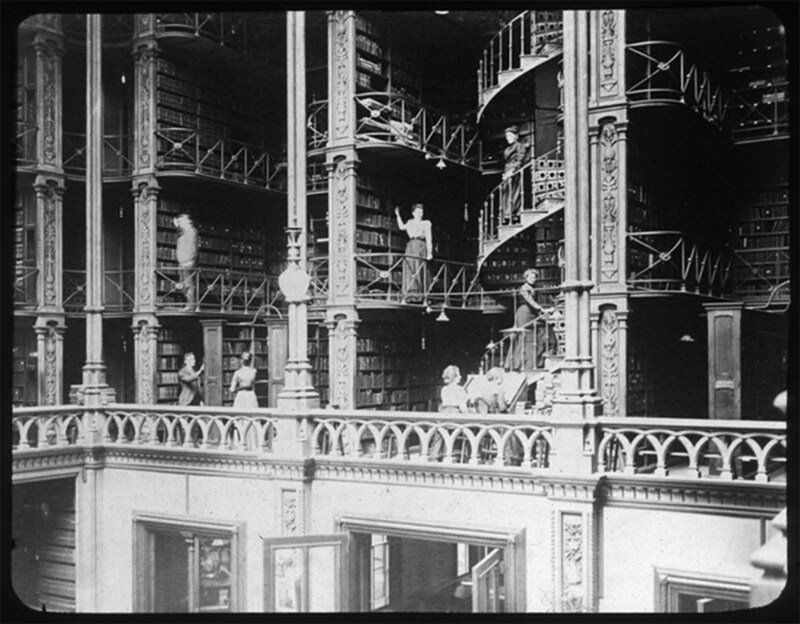 The Main Hall featured five tiers of cast-iron alcoves that housed over 200,000 books. Completed in 1874, originally intended to be an opera house before the project went bankrupt, the modestly-sized building did not do justice to to the magnitude and beauty of the interior designed by architect J.W. McLaughlin. 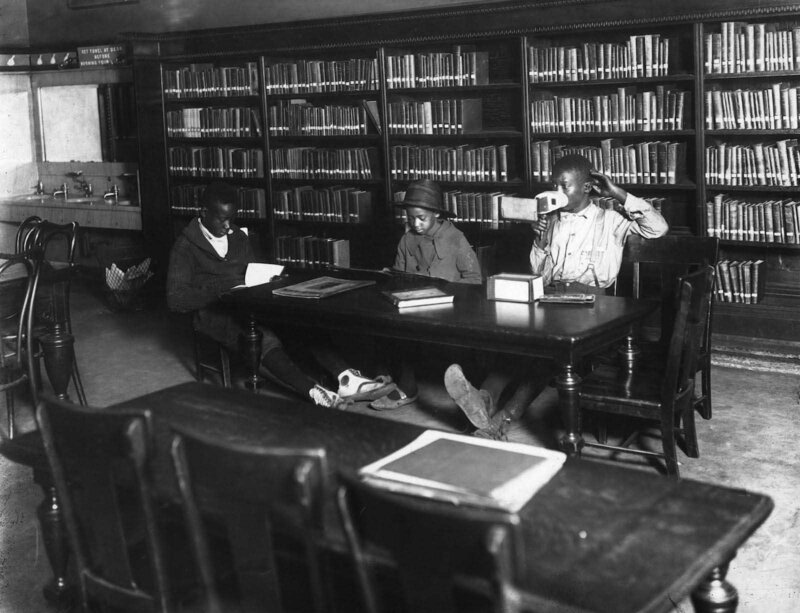 (Photo credit: Public Library of Cincinnati & Hamilton County). America has so little historical buildings - what a shame they had to tear this extraordinary building down. Now it is probably some awful concrete and glass office block. America has so few readers - what a shame that you didn't actually read the article before posting a reply. It literally says "the site is now a parking garage." 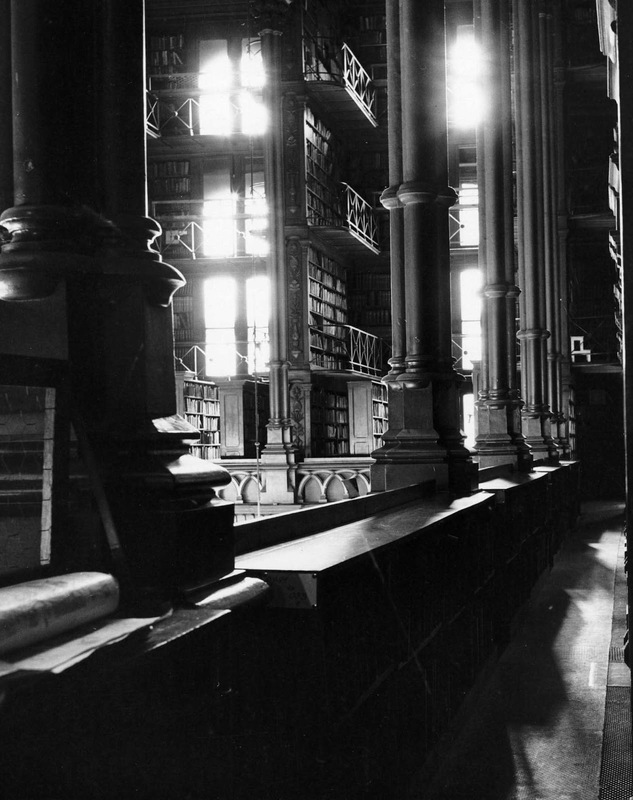 A true shame that this library is gone. 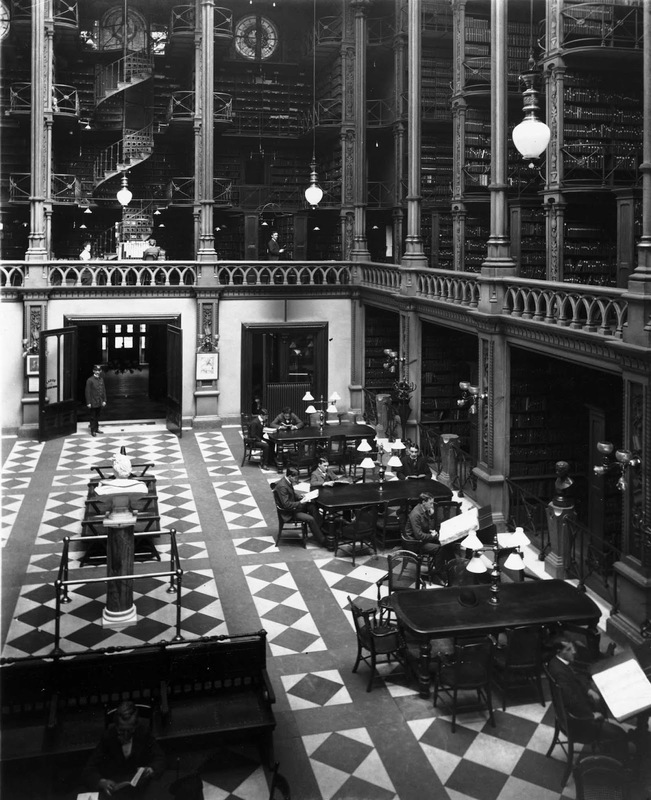 I love in Cincinnati and had no idea the history of the library.